stevefakeballmer | The Original Fake Steve Ballmer – Exiled by Blogger! Jerry wanted to interview me on his upcoming talkshow, I agreed to come …. but I did not agree to talk. I find Jer to be a boring, self-absorbed snob with delusions of relevance, so I decided to sabotage his pilot-show. When they said “we are live NOW!” I crossed my leg, and froze my body. IT WAS HILARIOUS! For the first 10 minutes Jer kept asking me questions but I did not respond. He told a few of his “jokes”, he looked angrily at me, begged me …. the live studio audience started to jeer. Then they cut to a commercial break, I came out of it. He went into a tirade on me, jumping up and down, punting and screaming. The audience slowly began to become annoyed with him and started booing him! He cursed them out and stormed off the set with 3 minutes left. I continued frozen with the live cameras on me as the audience was fixed on me …. not one sound. The studio exploded in applause and laughter! 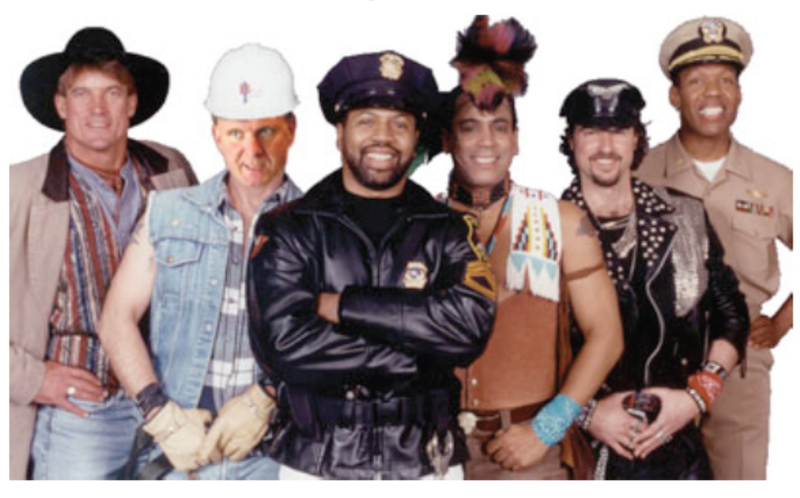 I LOVE THE VILLAGE PEOPLE! I remember when I was in college, going to their concerts in my plumber outfit. I danced the night away, pipewrenchs in both hands, eyes closed, spinning and skipping, waving my arms wildly ….. When the song was over, I’d open my eyes and see that I was dancing so good that everyone else had cleared the floor and they were just staring at me. ahhhhh, Those were the days ….. I was such a Macho, Macho man! It’s been a while since I leaned back and screamed my old war cry. Calling for all out battle, war, destruction and dismemberment of all Linux, Apple, Android and open source supporting corporations. Howling like a banshee from atop the hills of Washington State ….. what a feeling of freedom! When I reclaim my rightful place as CEO, I’m really going to let loose! 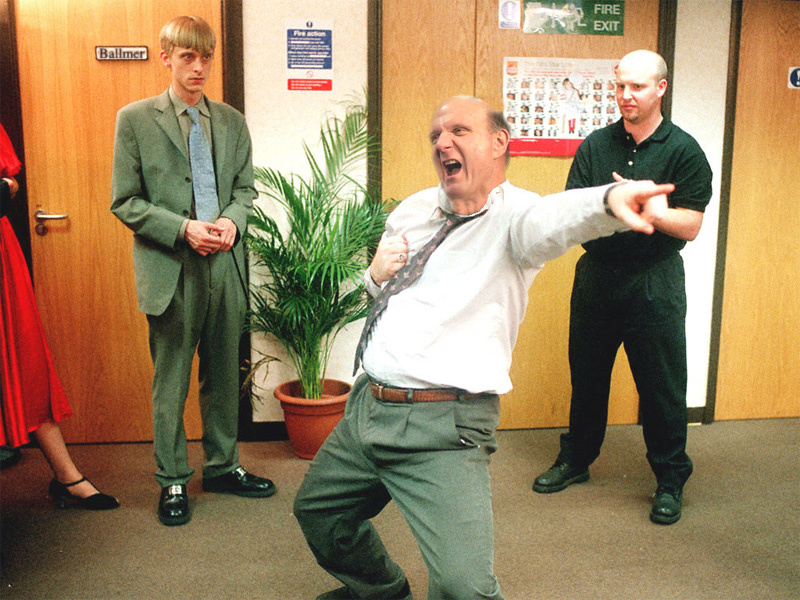 I want new Microsoft employees to start out right, so every one of them gets the old Ballmer-PepTalk! Some people say I get too carried away with the jumping, screaming, dancing, sweating and crazy eye looks. But it leaves a lasting impression, oh yeah baby!